China's state-run Xinhua news agency says the decision by South Korea and the U.S. to delay their announcement on joint military drill plans to after the North Korea-U.S. summit is in consideration of Pyongyang. The report said Saturday the postponement appears to have considered North Korea's possible reaction to the joint drills ahead of its summit with Washington. 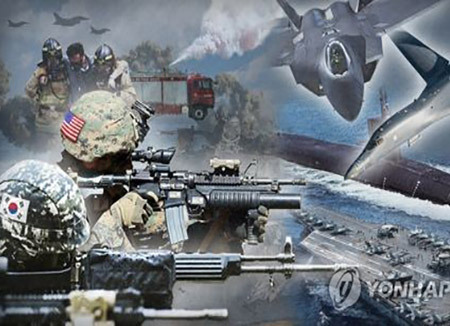 It noted the regime has criticized South Korea-U.S. exercises as rehearsals for invading the North. Xinhua said the decision to delay the announcement likely reflects the belief that ongoing working-level negotiations between the North and the U.S. may be affected. The report added that at the time of the first North Korea-U.S. summit last year, Seoul and Washington also pushed back their joint drills to after the summit meeting. The second North-U.S. summit is to take place at the end of this month in Vietnam.